Many people are worried about their finances. How do you set up an emergency fund, save for retirement, put money into a college fund, save up for a vacation, etc. amidst all the other expenses you have day to day? This can be made even more difficult by student loan or credit card debt. Managing your money can be difficult, and this is unfortunately not something most people are taught in school. Many people are in debt and not just from student loans, which can make saving and getting your finances under control even more difficult. So how do you learn to manage your personal finances responsibly? Is there any kind of course out there to help you in understanding personal finance? Luckily, there is. Once you have the basics down, you’ll realize that personal finance isn’t as daunting as it may seem at first. Becoming mindful of your own personal finances, setting long-term goals, and working on saving is vital. 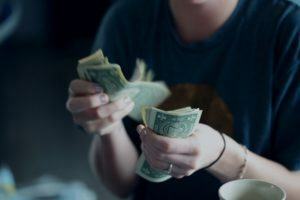 There are plenty of people out there who are worried they’ll run out of money when they retire, or that they won’t be able to retire at all due to not having saved enough when they were younger. This is a realistic fear to have if you are ignorant of personal finance. Without setting long-term goals about your savings, it can be difficult to make sure you’re saving enough (or at all). Once you become “financially literate,” making good decisions with your money is much easier. When you have good control over personal finance, you’ll be able to save up for retirement, while also managing any debt you have, paying all those monthly bills, investing in your child’s education, and even responsibly spending money on vacations and recreational activities. Personal finance isn’t about penny-pinching or only spending money on “important” things; it’s about helping you to be smarter with your money and enabling you to plan and save for the future. Once you have the basics down, you’ll even be able to learn how to invest your money smartly to make the most of it. Personal finance can seem daunting to many people. As mentioned, it’s not really something you learn in school, and it can be hard to teach it to yourself. Fortunately, there are resources out there to make up for the gap in your education and help you to become more financially literate. Udemy is one of the resources available. 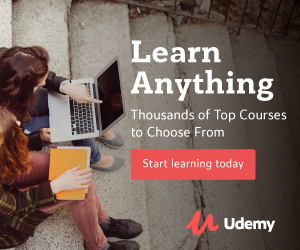 The instructors and course makers at Udemy are dedicated to spreading knowledge, helping others to learn the skills they need, and ultimately setting students on a path for success. They believe that opportunities to learn and build your skill set aren’t always as easily accessible and available as they should be, so they have created Udemy to fill that gap and offer as many people as possible the chance to learn, transform themselves, and develop their skill set. Udemy has over 80,000 courses available, so you’re sure to find one that works for you! They also have over 35,000 instructors teaching in over 50 languages, so even if English isn’t your native language or you feel you don’t learn as well in English, you don’t need to worry about not being able to find a class. They also offer courses for companies and businesses as a whole so that any business owner or manager can help their employees to stay on top of the latest training and development they need to succeed at work. Udemy’s instructors are educators and experts in their fields so you can trust that you’re getting the best possible information for whatever topic you choose to study. Udemy has many different courses on personal finance. One such course is Personal Finance 101 and, as you can see from the title of the course, this is probably the best place to start if you’re completely lost on where to begin. In this course, you’ll learn about what it takes to save for retirement, buy a new home, manage and pay off your student loans, even start investing in the stock market. 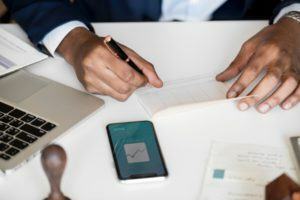 You don’t need to know anything about personal finance to start this course, it truly is an introduction to the basic things you need to know to start managing your finances. If you are a student or someone considering going back to school, it has a section on finding grants and scholarships to help you pay for school without breaking the bank or taking out more loans. This course includes 1 ½ hours of video lectures as well as three articles for you to read so you don’t have to worry about it taking up too much of your time. The Core Four of Personal Finance is another good “personal finance for dummies” course. The instructors of this course want any student who takes it to keep in mind that the road to saving, investing, and becoming in control of your personal finance can at times be a slow one. This will provide you with the foundation you need to be successful. The whole basis of the class is the “four pillars” of finance. You’ll learn how to save your money and also how to start making more of it. 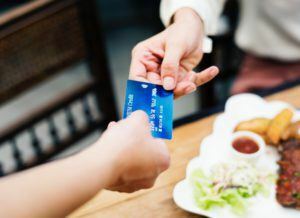 By the end of the course, you should understand debt, how to control your finances, how to save for retirement, and how to motivate yourself when your finances seem too difficult to handle. Personal finance isn’t something you do just once, and it isn’t something that will keep itself under control once you reign it in one time. You will have to manage your finances your whole life, even after you’ve retired and left the workforce. This course really tries to hammer that long-term thinking into your head. It will help set you up for success, but anything you do after taking the course is up to you. There are also courses designed specifically for couples, such as Personal Finance 101 for Couples Who Don’t Want to Split. This course is designed to not only educate you and your partner on personal finance, but it also helps you to talk about your own personal views on finance and figure out you both handle money. Being on the same page when it comes to budgeting, handling expenses, etc. is an important part of any healthy relationship and taking this course together can help you both to become more knowledgeable about finances and get on the same page when it comes to them. You’ll learn how to set up a plan that includes managing your bills and saving for the future, in a way that works with both of your salaries. You’ll learn not just how to save money but also how to decrease your debt and work your way to a financially stable future together. Learning personal finance skills is one of those things that’s best done sooner rather than later. This is why Money Masters 101: Personal Finance for Students is a great course. Any introductory course is worth taking, of course, but this one is specifically catered to those of you who are still in school. Students just have different needs, and it’s also a good idea to start learning personal finance before you graduate. You will learn how to start saving for your future, how to budget, and start investing. The course also includes downloadable apps to help you budget and plan better. While the course is designed for students in Montreal, anyone can benefit from the skills taught in this course. If you do happen to live in or near Montreal, the course also provides contact information for financial advisors close by that can provide coaching to you free of charge. Saving for the future can seem like an impossible task sometimes, especially when you are bogged down with student loan payments, rent, and other expenses, credit card debt, etc. Budgeting and managing your money while still trying to save is a difficult task for many people. Taking on the stock market and other means of investment can seem even more difficult! It doesn’t have to be, though. Understanding personal finance is key to taking control of your money and making the most of it. Nobody wants to be in debt forever, and nobody wants to get to retirement age and realize they have too little saved up. By taking a course in personal finance, whether it be a regular introductory course, one for students, or one for couples is the first step on the path to becoming financially successful and being able to buy a new home, finance your school, and save for retirement. Anyone and everyone can benefit from learning more about personal finance. Even if you think you have a good handle on your budget, take a course anyway. You might be surprised by what you learn and the things you can do to become even more in control of your own money, as well as your future.